Stir in 1 cup of the cheese until melted. Sprinkle with remaining 1/2 cup cheese. Check the label on the can of tomatoes, with chiles. The mild, medium or hot designation will help you purchase tomatoes with a chile potency that suits your taste. 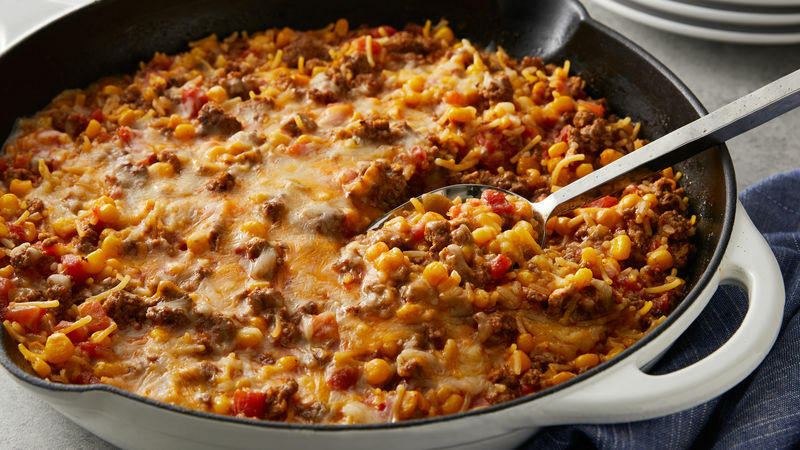 Mexican cheese blend combines shredded colby, Montery Jack and Cheddar cheeses. Serve this casserole-style skillet with a spinach salad tossed with avocado slices and jicama sticks.